Shane Dawson Hits 20 Million Subscribers On YouTube! Shane’s conspiracy theory series is about to drop in just a few hours! And we can’t control our excitement! And if you know Shane, he celebrated his success with his friends,a cake and a root bear. Shane also uploaded a short clip on Instagram, a screen recording of the moment he reached 20 million! “Thank you, guys, for supporting my channel for so long and for changing my life. Editing today is gonna be even more inspiring.” Shane tweeted. He then thanked his right-hand man and filmmaking partner Andrew Siwicki and his boyfriend Ryland Adams. 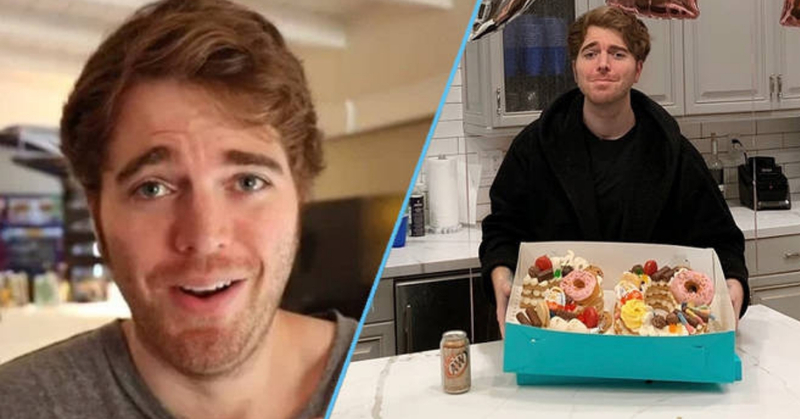 Although Shane has gained even more success for filming his docu-series and conspiracy videos, YouTube recently released a statement stating that they vow to recommend less conspiracy videos. They are recommending less videos that could misinform the viewers and conspiracy videos falls in that category. So that gives you more reasons to subscribe to Shane to ensure you get updated on his latest videos as soon as he uploads it! What do you think about Shane’s new docu-series? Have you subscribed yet?